INDUSTRY.co.id - Jakarta - PT Astra International Tbk (ASII) will develop the financial and technology business (fintech) following the rapid growth of the field in the country. President Director of PT Astra International Tbk, Prijono Sugiarto in Jakarta, Tuesday (08/28/2018), said that Fintech will support the company's business going forward. "Our capital is quite large with total financial services assets of nearly Rp. 300 trillion. Fintech is a complement to the financial services available at Astra," he said. This year, he continued, the company has invested in fintech companies such as transportation operators based on the GO-JEK application. 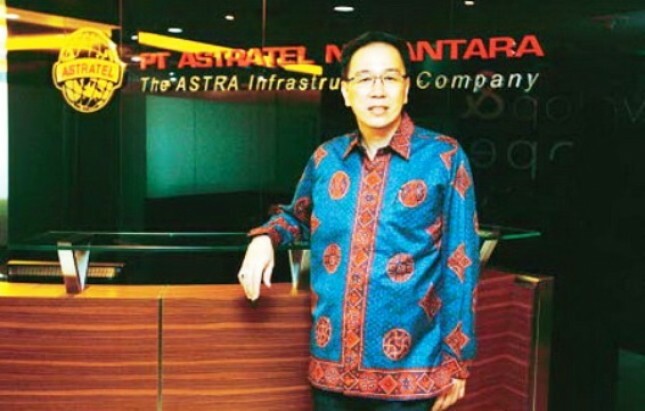 Prijono Sugiarto also said that his party was optimistic that Astra International would book financial performance growth this year. "Astra Group's performance until the end of 2018 is estimated to be quite good, supported by the stability of Indonesia's economic growth and stable coal prices, despite competition in the car market and the weakening of the price of palm oil," he said. Recorded, Astra International's net profit in the first half of 2018 reached Rp 10.4 trillion, an increase of 11 percent compared to the same period last year. While net income during the period increased 15 percent to Rp112.6 trillion, with an increase in revenue, especially from the heavy equipment and mining businesses.